Real Organic Farmers Work to Create Add-On Program to Identify Authentic Organic Food. Special Offer: FREE Award Winning Wood Prairie 'Organic Potato Plant Detective'. Wood Prairie Family Farmers Invade Oregon. Notable Quote: Henry David Thoreau on Soil. Wood Prairie Organic Potato Plant Detective. We continue to receive acclaim for our new award-winning Organic Plant Detective. The kit had its origin last Summer while Megan, Caleb & Jim were roguing potatoes. 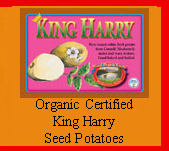 A conversation developed about how much harder it would be to grow our 20 varieties of organic seed potatoes if we didn’t have Island Sunshine and King Harry around to help us sort out bug or disease problems. Pretty soon it dawned on us that if we as experienced potato farmers benefit regularly from these two varieties and their bio-assay function, then anyone growing potatoes would similarly have increased success. Award-winning ideas born in a potato field! Fake Corporate "Organic" CAFO. This Concentrated Animal Feedlot Operation (CAFO) clearly does not meet the requirement for pasture access for ruminants mandated in the USDA National Organic Program Final Rule. USDA is breaking the law by allowing this CAFO's fake products to be labeled "organic." The organic community has had enough and now we're going to clean up the mess USDA has made. Genuine Certified Organic family farmers from across the nation are linking arms and joining with their eater-allies to invent a new Add-On system which will provide confident assurance that the food they are vouching for is in fact real organic. The consistent failure of USDA to honestly police the organic industry - and keep out fake corporate operations which fail to meet the requirements of organic under Federal law and flood the market with fraudulent foods mislabeled “organic” - has necessitated this monumental action. Plans are underway for Certified Organic family farmers to demonstrate they meet not only the requirements of the National Organic Program (NOP) under the Organic Foods Production Act of 1990 (OFPA), but also adhere to a higher set of important production practices both expected by consumers and beneficial to the planet. This significant extra farmer effort is characterized as an ‘Add-On’ to NOP certification. The program will reward organic farmers for their hard work and reassure consumers they are buying real organic food for their families. Jim Gerritsen of Wood Prairie Family Farm has been appointed to one of fifteen positions on the new Real Organic Standards Board. He is Chair of the Grown in Ground Subcommittee. Development work is now progressing via conference calls and emails. In March, Jim will join other national leaders at an inaugural real organic meeting in Vermont. You may go to this link to learn more about the Real Organic Project and see the identities – and photos – of the large group of farm and food leaders who are lending a hand to save organic from increasing governmental and corporate collusion and dysfunction. Our new Green Thumb Award winner, The Organic Potato Plant Detective is a special twelve tuber seed potato collection which serves double duty and features two of the best organic Maine Certified Seed potato varieties – Island Sunshine and King Harry. In addition to growing a bountiful crop of delicious potatoes for eating, the two unique Organic Potato Plant Detective varieties in our new kit perform a detective-like bioassay function, helping growers of all sizes diagnose potato growing problems. 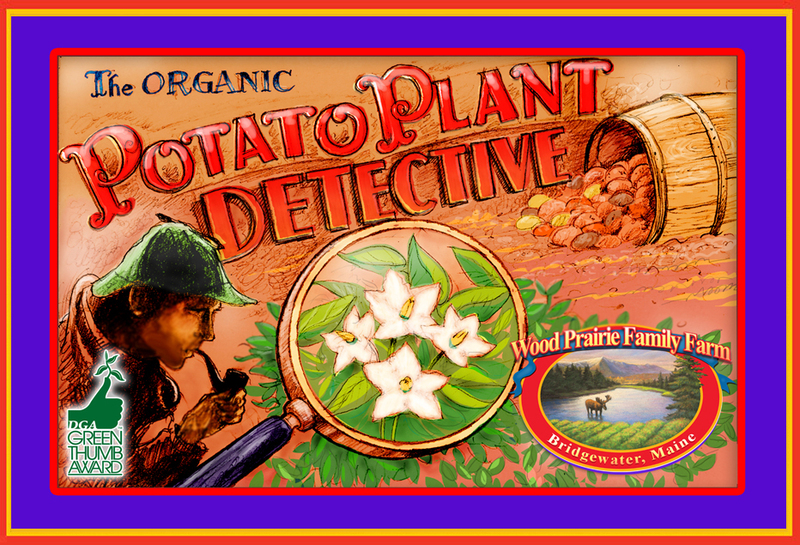 Receive a FREE Organic Potato Plant Detective (Value $19.95) when your next order totals $89 or more. Offer ends 11:59 PM on Monday February 26, 2018, so please act today! Please use Promo Code WPFF421. Your order and FREE Organic Potato Plant Detective must ship by May 5, 2018. Offer may not be combined with other offers. Please click today! Wood Prairie Potato Plant Detective. Savvy potato collection which solves mysteries. Last week was the Organic Seed Growers Conference held on the campus of Oregon State University in Corvallis. Four of the crew from Wood Prairie headed out West – Sarah, Lizzy, Caleb and Jim – to this largest organic seed event which is held only once every two years. Some sessions were recorded and you may access them at the link above. Two days of workshops ranging on topics from organic seed breeding to organic seed production to organic farm policy were preceded by a long day of field trips to four Willamette Valley seed operations. Oregon’s Willamette Valley, located between the Coastal Range to the west and the Cascades to the east is one of the world’s premier seed growing areas. Grass seed is a popular crop and there are still over 200 seed cleaning facilities spread out across the valley. Organic Seed Growers and Trade Association held its customary and well-attneded Meet & Greet in the evening after the field trips, again at McMenamins on Monroe. Additionally, OSGATA had an in-person Board of Directors meeting plus its Annual Membership Meeting. Jim is longtime President of the farmer-run OSGATA whose mission is to protect and develop the organic seed trade and the organic community. OSGATA was lead plaintiff in the landmark federal lawsuit, OSGATA et al v. Monsanto, filed seven years ago. Below are some photographs taken on our field trip. "Dazzling Blue" Kale. Hank Keogh's organic Kale seed field in Corvallis. Oregon Native Prairie Seed. At the business "Heritage Seedlings" run by Lynda Boyen in Salem. Collection of Scalper Screens. Used in the first step in machine cleaning of seeds. Pallets of Perennial Rye Grass Seed. Stacked high at Kenagy Family Farm in Albany. Notable Quotes: Henry David Thoreau on Soil. Meanwhile, sprinkle the yeast and sugar over the warm water in a small bowl. Let stand until the mixture looks foamy, about 10 minutes, then sitr to dissolve the yeast. Stir into the squash mixture. Add the eggs and orange zest. Gradually stir in enough of the flour to make a stiff dough. Turn out a lightly floured work surface. Knead, adding more flour as necessary until the dough is smooth and elastic, about 10 minutes. Lightly oil a large bowl. Place the dough in the bowl and turn to coat with the oil. Cover with a damp kitchen towel and let stand in a warm place until doubled in volume, about 1 hour. Lightly oil 24 muffin tins. Punch down the dough. Turn out onto a floured work surface and knead a few times to expel air bubbles. Cut the dough into 24 equal pieces. 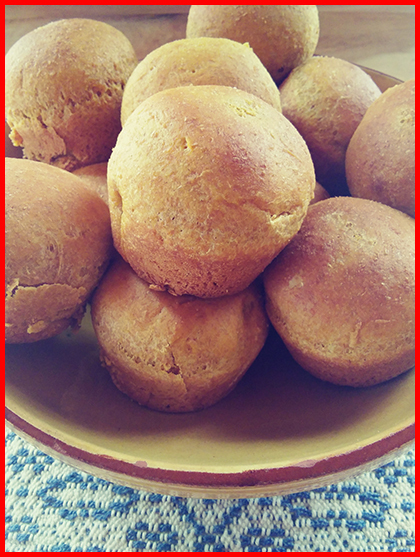 Form each piece of dough into a ball and place, smooth side up, in a muffin tin. Cover each pan with a moist kitchen towel and let stand in a warm place until the dough has doubled in volume, about 30 minutes. Meanwhile, position a rack in the center of the oven and preheat to 375ºF. Bake the rolls until golden brown, about 15 minutes. Remove from the tins and serve hot.